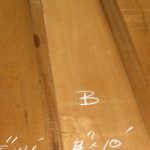 As the trend toward using large timbers continues to grow, understanding why cracks and checks occur (as we discussed in Part 1) is important for builders. Whether your timber’s cracks are small and plentiful or large and few, the most important thing you need to know is that checking in no way compromises the structural integrity of a timber. Actually, it can increase its strength, releasing the internal tension that would otherwise compromise the timber’s stability. 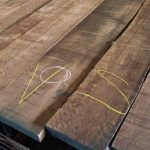 If you notice that a large structural timber lacks any saw kerfs or checks, that’s actually when you should be concerned. 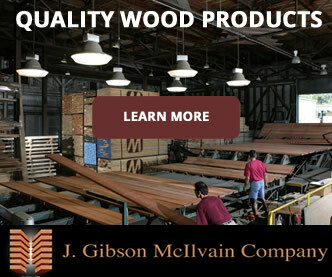 While we don’t recommend the saw kerf approach, here at J. Gibson McIlvain we do take steps in order to reduce checking. 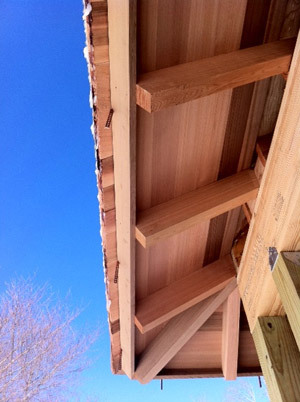 (For instance, we seal the ends of timbers and store them in the shade.) 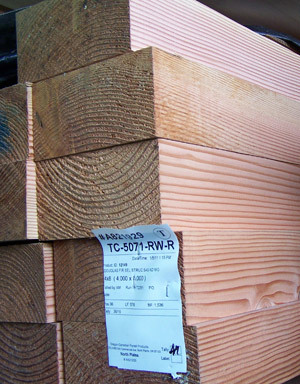 Most checking, however, does not occur until after a timber is installed. Direct sunlight on a warm day can cause dramatic checking. Some timber frame home owners even report hearing loud cracking and popping noises years after construction has been completed. 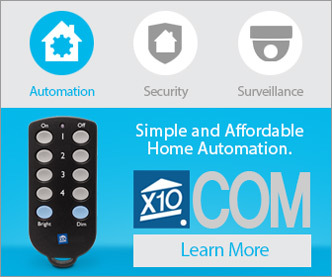 Customers must be informed that checking is not a sign of a defect and should be expected. The cracks will naturally open and close as the environment changes. 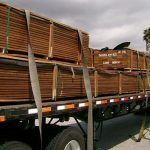 Customers need to be aware of how wood moves. 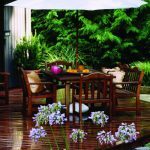 Basically, the cracks or checks have been caused by drying and shrinking, and as the surrounding humidity levels rise, wood takes on more moisture and swells (closing initial cracks). As a result, customers also need to be told that cracks should not be filled in with something like an epoxy that will keep them from fulfilling their task of accommodating wood movement as the outer layers continually shed and pick up moisture. The situation is similar to so many other details about wood: an informed customer will be a satisfied customer. For instance, we need to inform customers about how color change occurs naturally as wood ages and color matching is virtually impossible. We also need to explain how gaps between decking boards will be affected by wood movement. 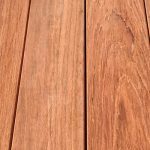 Sometimes understanding various species specifications — such as unique coloring of Teak and grading of Walnut — and trends can be helpful as well. The key is to remind the customer of the reason they wanted large timbers in the first place: They love the beauty and benefits of real wood. 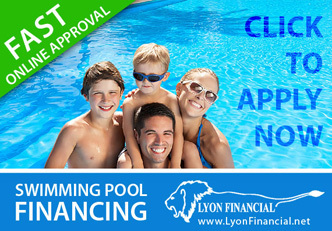 As an all-natural, organic, truly green building material. 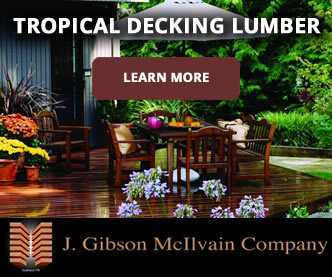 By using lumber, they’re promoting the continuation of rain forests and contributing positively to the global ecosystem. As they see cracking and checking as part of the natural beauty of wood, they’ll be more likely to embrace it instead of fighting against it.